KATHMANDU, June 21: The parliamentary hearings special committee is set to elect Nepali Congress lawmaker Kul Bahadur Gurung as its chairman by Wednesday. The first meeting of the special committee on Monday has asked Speaker Onsari Gharti to fix a date to elect its chairman. According to CPN-UML lawmaker Ganesh Man Gurung, the election process will conclude by Wednesday. "Lawmakers from all parties in the committee have developed a consensus to elect NC leader Gurung unanimously as the chairman of the committee. We'll start election process by Tuesday morning and complete it by Wednesday," said Ganesh Man Gurung. Likewise, the first meeting of the House panel has formed a three-member taskforce to draft work procedure of the committee. The taskforce includes UML lawmaker Ganesh Man Gurung, NC lawmaker Bal Krishna Khand and CPN (Maoist Center) lawmaker Anita Pariyar. "The taskforce will meet on Tuesday morning. Since we have previous work procedure as a reference, what the taskforce has to do is to contextualize it in the changed scenario. 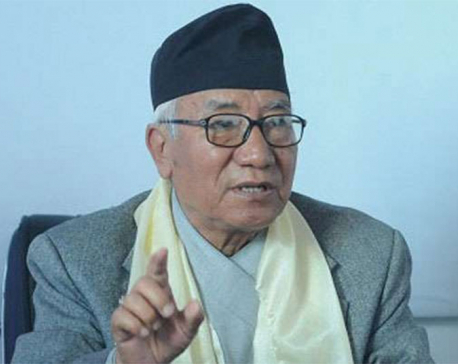 I hope the drafting will not take a long time," said taskforce member Gurung. After eight months of haggling, the two largest political parties - Nepali Congress and CPN-UML - finally agreed on Sunday to form a 15-member parliamentary hearings committee and the House the same day endorsed the parliamentary regulations through a majority vote. With the endorsement of the new parliamentary regulations on Sunday, Parliament has paved the way for initiating parliamentary hearings for the proposed chief justice, the chief election commissioner, 11 other justices and 22 ambassadors, which have remained pending for long now.